is it just with my phone or is there really smth wrong with the fb, messenger, and ig apps? Whatsapp, Insta and FB are not working ... seems the world has stopped spinning!! #FB so #WhatsApp also down! #WhatsAppDown #FacebookDown @WhatsApp @facebook how come all servers down!? 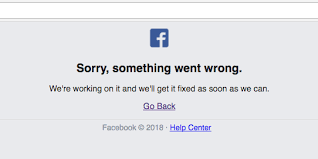 fb and instagram are both down...? @Facebook is down again. So is @Instagram. @Twitter seems to be the only reliable social network! @facebook Are there server problems? I can't use messenger, it just says "connecting..."